At Beyer Carpet Cleaning we specialize in many things including mattress cleaning. It is imperative to clean your mattress in order to rid it of any bed bugs, germs, stains and follicles that are most often unnoticed and are not healthy for you and your family. Beyer Carpet Cleaning will clean you mattress and sanitize it for your well being. Mattress Cleaning San Antonio is most effective when you use the professional method. Beyer Carpet Cleaning San Antonio uses top notch equipment and materials when mattress cleaning San Antonio. We first spray our popular and most effective pre-spray mixture of emulsifier and enzymes. When it sets in we then steam and vacuum using a low PSI. We go over the entire mattress San Antonio and try our best to prevent reappearance of stains. 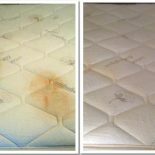 With our method we will have your mattress looking like new. You will feel clean and safe sleeping on your mattress. You will not have to worry about what is living in you mattress. Beyer Carpet Cleaning wants you to know when we clean your mattress you are getting your monies worth. Beyer Carpet Cleaning aims to make our customers happy. We recommend using Beyer Carpet Cleaning’s method of mattress cleaning San Antonio every time. Mattress cleaning San Antonio is needed every quarter are so in order to keep your mattress up to par. If you have other cleaning needs such as carpet cleaning, tile and grout cleaning, and upholstery cleaning Beyer Carpet Cleaning San Antonio is here for you. Call us today and you won’t regret it. We will leave your house looking clean and new. 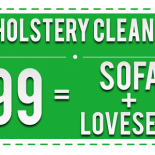 Remember mattress cleaning San Antonio is not only good for you but with Beyer Carpet Cleaning it is also affordable. Beyer Carpet Cleaning is and will be here for you when you need us.